Introduced in 2002, the V-Strom 1000 expanded the popularity of motorcycles in the adventure category. When a more proficient V-Strom 1000 debuted in 2014, it was also embraced by riders around the world. To maintain the V-Strom’s leadership in this category, Suzuki applied new technology and practical experience to the 2018 and 2019 V-Strom 1000. Always a good citizen, the V-Strom 1000 has innovative systems to maintain engine performance and great fuel economy while achieving worldwide emission standards. 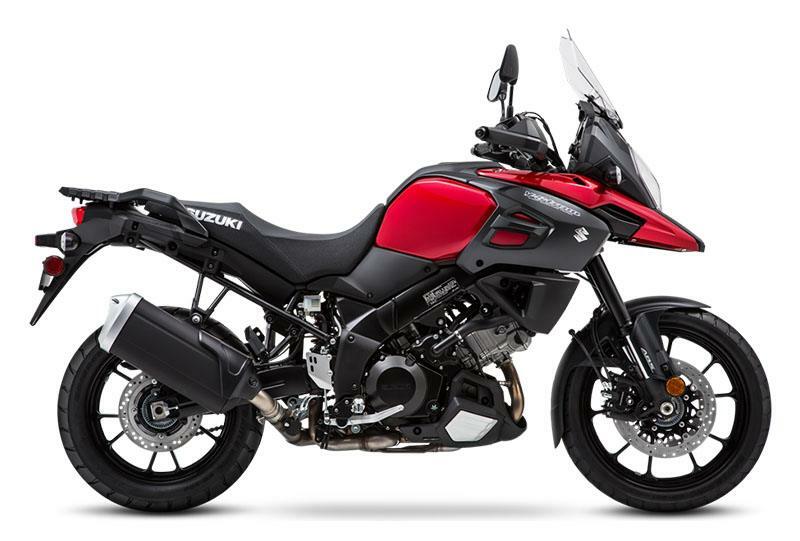 To emphasize Suzuki’s adventure heritage, the V-Strom’s styling hints at its lineage with a renewed call for adventure. That fresh styling also contributes to functionality and joins the unique Motion Track Anti-lock** and Combined Brake System and other features to bring rider assist technology to a new group of adventure riders. Like every V-Strom before it, the appeal and value of the 2019 V-Strom 1000 will be recognized by experienced and enthusiastic riders. If you want to enjoy a trouble-free adventure as well, join them on a V-Strom. 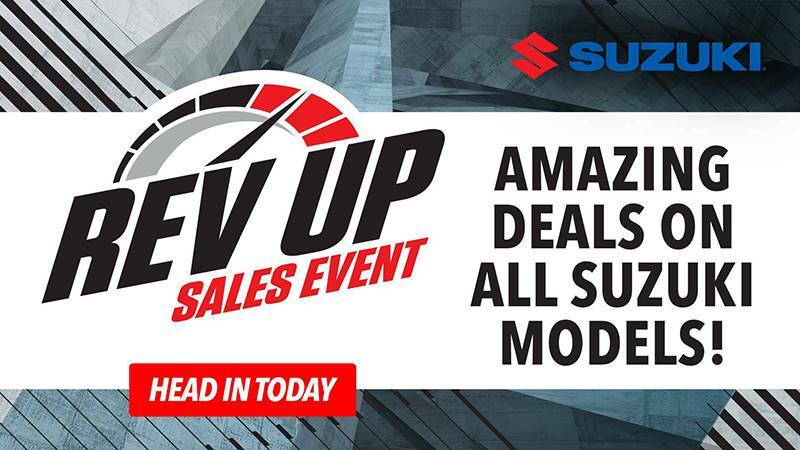 Suzuki debuted its first motorcycle Traction Control System* on the 2014 V-Strom 1000, and a new-generation system is employed on the 2019 V-Strom 1000. Suzuki’s Traction Control System lets the rider control the throttle with more confidence in a variety of riding conditions. Lightweight 10-spoke cast aluminum wheels (manufactured for Suzuki by Enkei) combine nimble handling with sporty looks. Handguards with large vibration damper weights and a lower engine protector are standard. 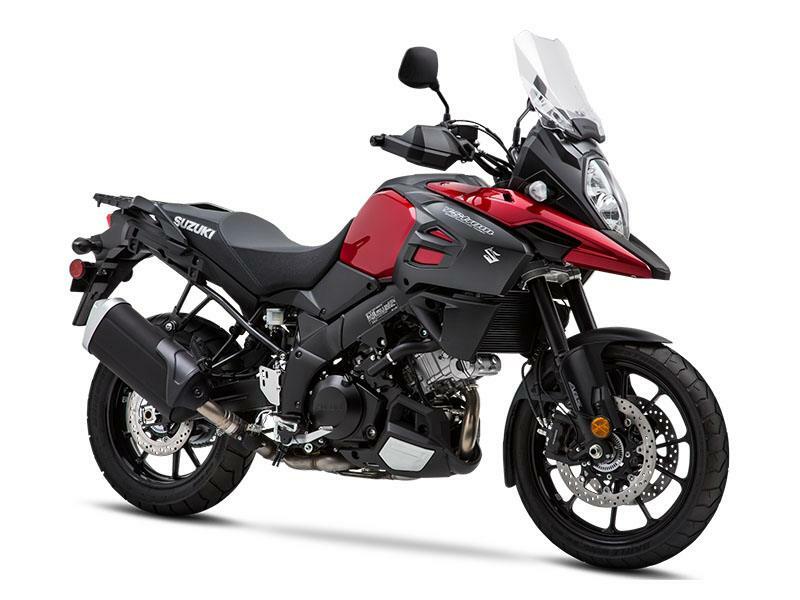 Sturdy chassis has integrated mounting points for unified Suzuki V-Strom luggage that’s easy to clip on and off, and keeps the motorcycle trim when ready for touring.